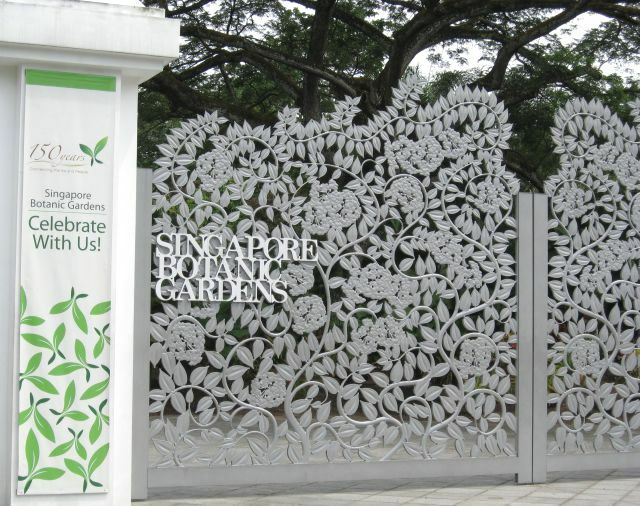 Our good friend and cat-sitter extraordinaire, Jan-Marie, recently enjoyed a trip to Malaysia and Singapore, where she visited Singapore Botanic Gardens. 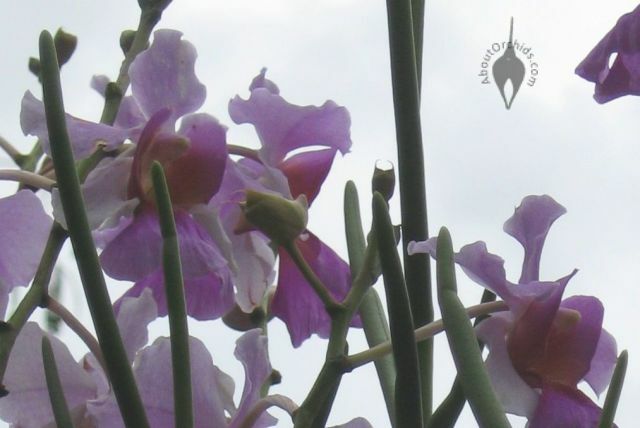 The Republic of Singapore is a small island nation located very close to the equator, so naturally this former British colony is home to many tropical orchids. 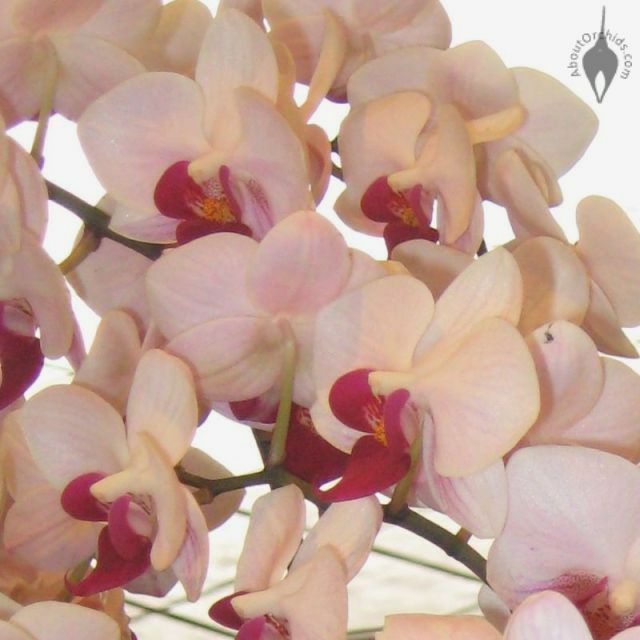 Singapore is also one of the world’s largest commercial orchid growers, specializing in warm growers like Phals, Vandas, Paphs, and Dendrobiums. 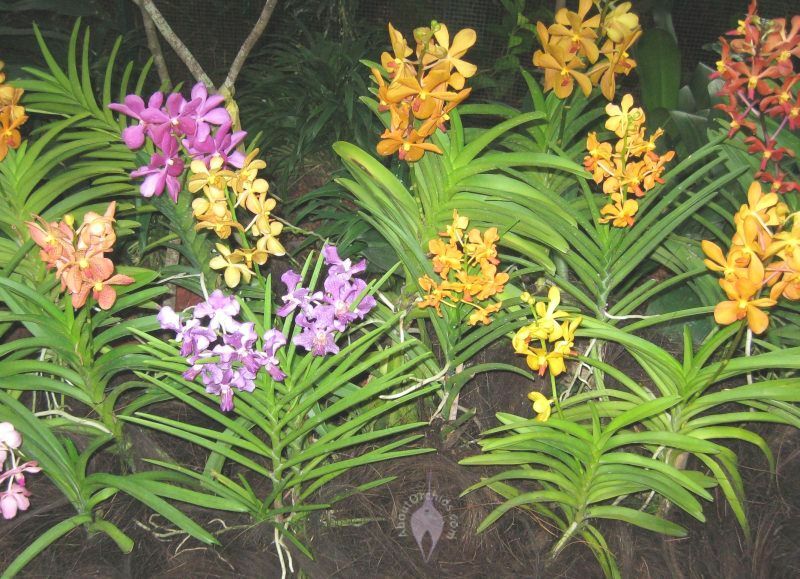 The National Orchid Garden is part of the Singapore Botanic Gardens, and contains over 3,000 orchid species and hybrids. 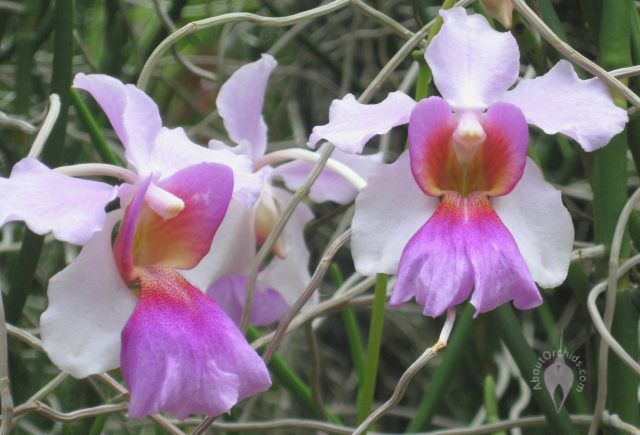 The pictures below show Vanda Miss Joaquim, the national flower of Singapore. 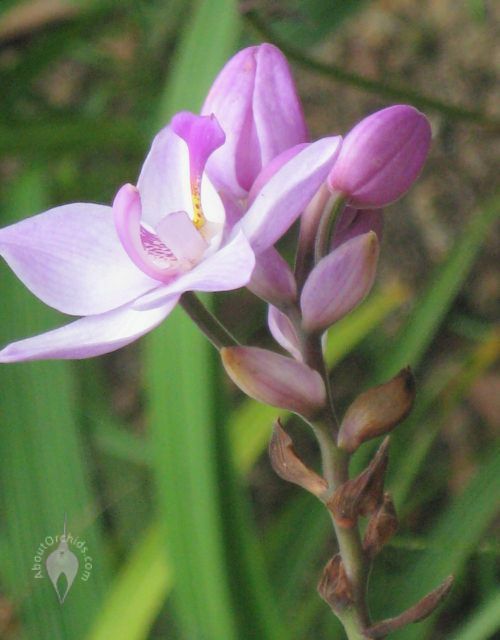 This hybrid orchid blooms almost continuously when given full sun, heavy water, regular fertilizer, and warm temperatures. 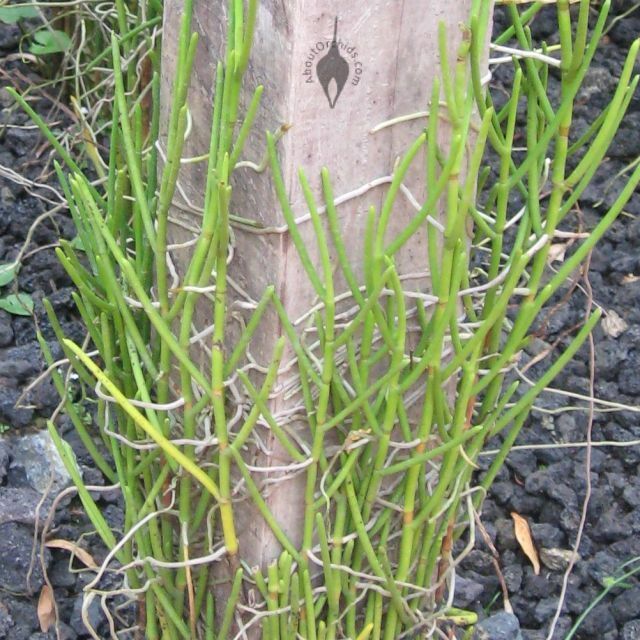 It has unusual, thin, pencil-shaped leaves that look more like stems than foliage. 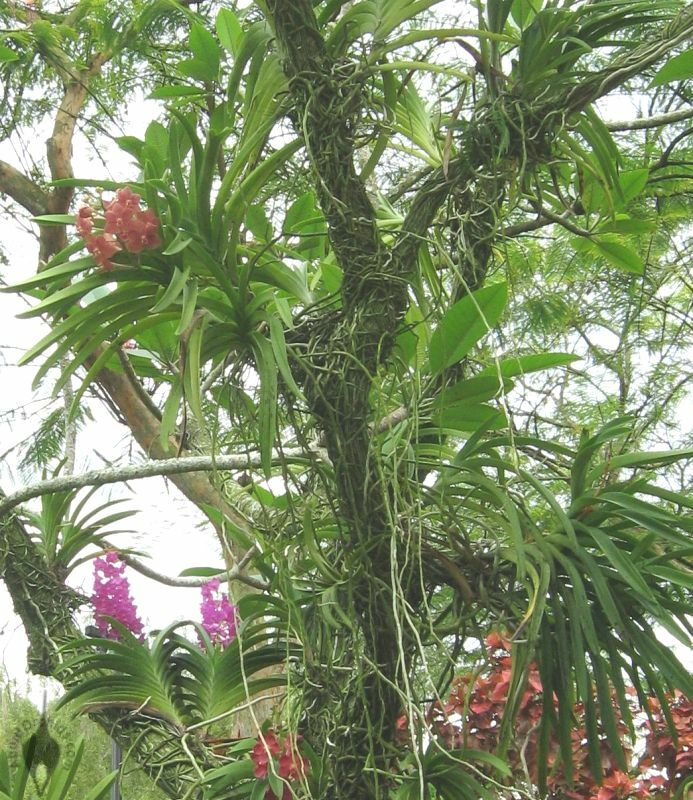 More pictures below show a Spathoglottis flower, lots of Phals, a rainbow of Vanda flowers, and Vanda plants attached to a tree. Thanks so much, Jan-Marie, for sharing your marvelous pictures! 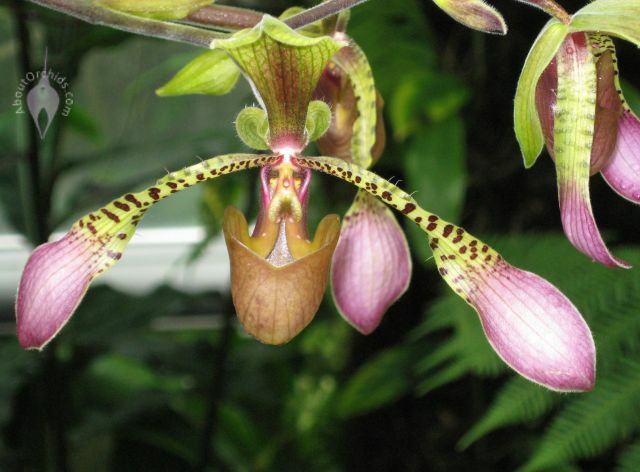 This entry was posted on Sunday, May 17th, 2009 at 4:19 pm	and is filed under Botanical Gardens, Photos, Warm Growers. Thank your friend Jan Marie for the great photos. I love the one with the vandas up in the tree branches. Ive been to Singapore Botanic Gardens and they’re truly brilliant. 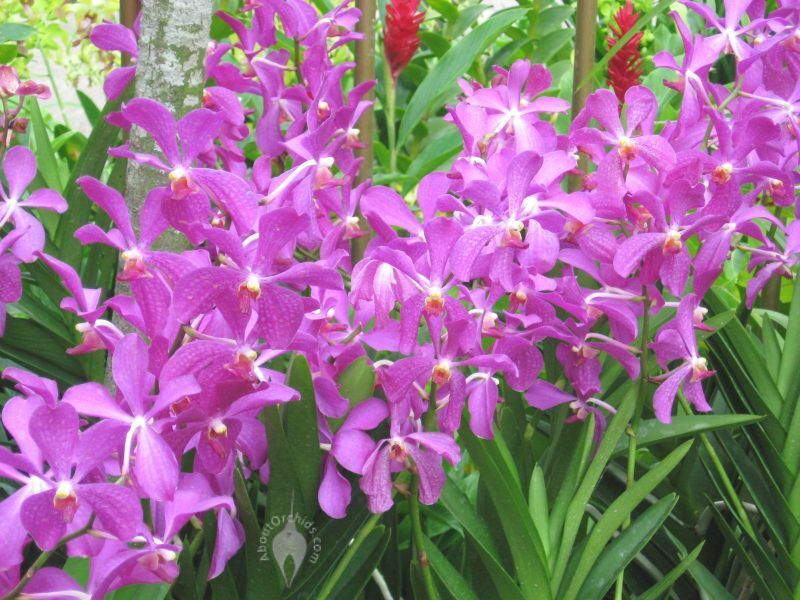 Vanda Miss Joaquin grows all over the island. I’ve seen it growing wild in Hawaii also.